THE WORKOUT THAT WILL MAKE YOU LOOK & FEEL 10 YEARS YOUNGER! 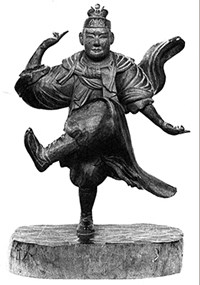 Hiroko and Gerard invite you to learn Tai Chi to reduce stress and energize your mind, body, and spirit. Our Tai Chi classes start with “Chi Kung” (moving the Chi) warm-up exercises which helps warm up all the joints, tendons and ligaments in a series of arm and hip rotations, slow moving knee and back bends and standing full body stretches. An earth energy/grounding form which incorporates low stances to draw energy from the earth and transfer it to our bodies; along with one-leg balancing stances to strengthen our legs and core, dynamic tension to strengthen our upper body, and free flowing arm movements to move our Chi. 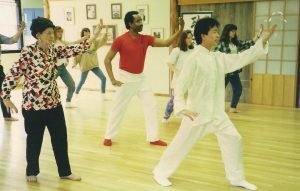 We then move onto our “Yang Style Tai Chi” form, which is considered one of the most popular forms in the world and consists of over 108 movements. 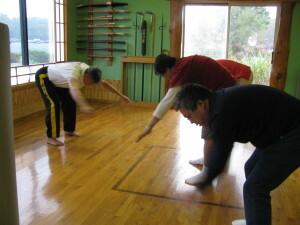 These movements are incorporated into different sections with names such as, “Dragon descending from the clouds”, “White Crane spreads its wings” “Ocean Wave crashing on the beach”, “Fair Lady stops the attack” and more; each of which can be learned separately as you progress in your training. Call today to start enjoying this rejuvenating workout!